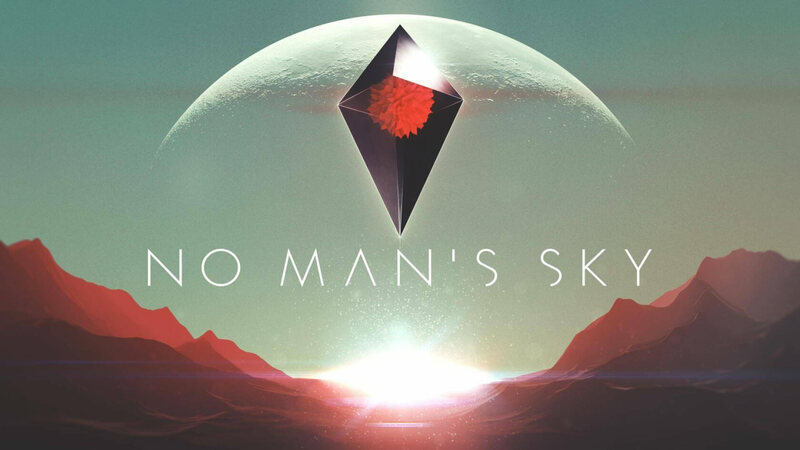 Hello Games just dropped the latest patch for No Man’s Sky and it's a huge one. The Atlas Rises update brings No Man’s Sky up to version 1.3 and includes tons of features including new story content, galactic map/navigation overhaul, a new mission system, improved economics, teleportation portals, multiplayer and more. One of the biggest complaints, when NMS released was that it was "boring" because there was no story. It did have a limited narrative upon release but it was told through lore when players found artifacts or met certain aliens. With Atlas Rises, Hello Games has added 30 hours of new story content, which it says doubles the existing lore. Additionally, the new narrative will be branching which, in theory, will bring the story more depth. There is a new race of aliens introduced along with the story as well although just how much interaction players will have with the new creatures was not revealed. The second biggest complaint about No Man’s Sky was that there was no multiplayer as Sean Murray said there would be. Version 1.3 takes a small step in fixing that problem. It’s being called Joint Exploration and it’s a very limited multiplayer mode that allows up to 16 players to communicate and travel together. Other players appear as floating orbs in the area being explored. That's right, instead of seeing the person’s avatar, you see a small ball of light. In all fairness, NMS is strictly first-person. There really is no player avatar to begin with, so orbs will have to do for now. Interactions between players are limited to following each other around as you cooperatively explore. Players communicate through a proximity-based VoIP system. In other words, your partner players have to be nearby to hear them. The company says, “While interaction with others is currently very limited, this is an important first step into the world of synchronous co-op in No Man’s Sky.” Based on that statement, we can expect to see improvements to multiplayer in future updates. Multiplayer orbs: Each orbs is another player (up to 16). Another much-requested feature has been addressed with Atlas Rises as well – portals. After playing NMS for a few hours, one discovers that getting around can become tedious in certain situations. While a gateway between your base and the local space station is nice and facilitates trading from your home planet, what happens when there is another resource-rich planet in the system? Version 1.3 adds "ancient" portals that players can activate which will allow them to teleport to previously visited planets, other players’ bases or even random new worlds. However, players will have to earn the right to use portals. If you are looking for a portal, that's what they look like. In a galaxy with 18 quintillion planets, portals will be the primary means of hooking up with other players. Some of the other significant improvements were not so much asked for but are surely going to be welcomed additions. Planets, for example will have a wider variety of flora, fauna and terrain. Systems will have unique economies which should add more depth and reward to interstellar trading. Each space station will now have a “Mission Agent” who can assign a variety of tasks including scanning, trading, exploration and combat missions. Players can discover crashed freighters on some planets that can be explored and looted. The galactic map will be much easier to navigate and will clearly show players their path through the galaxy. Many other additions help to improve functionality and the overall user experience. Things like a more informative analysis visor, user-friendly UI enhancements, overall graphical improvements, terrain editing, a revamped combat system/improved enemy AI, new ships and the ability to summon your ship no matter where you are on the planet’s surface will all contribute to improve gameplay and enjoyability. The full patch notes can be found on the No Man’s Sky website.